The practice of orthodontics is defined as the diagnosis, prevention, and treatment of dental and facial irregularities, including neuromuscular and skeletal abnormalities of the developing or mature orofacial structures. 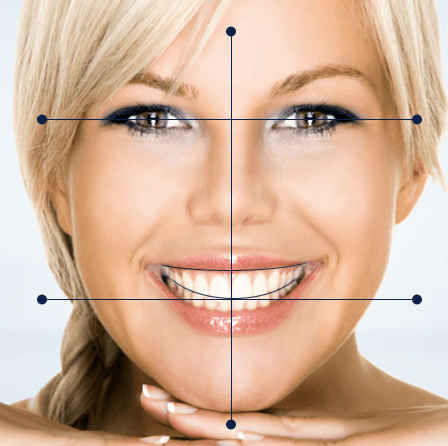 Orthodontists are uniquely qualified to affect such conditions through proper diagnosis and the appropriate application of orthodontic interventions, including injectables. Additionally, many state boards, including the Nevada State Dental Board, now officially recognize and support orthodontists in offering patients injectables for both therapeutic and cosmetic applications. When most people think of Botox® benefits, they only think of preventing wrinkles. However, many people don't realize that in addition to the great cosmetic benefits of Botox®, there are actually many therapeutic benefits as well. Botox® is the most common non invasive cosmetic treatment with over 6 million Botox® treatments administered each year, according to Medical News Today. When used correctly Botox® has a number of uses and benefits. Dr. Saoly Benson is proud to offer and administer Botox® applications for both therapeutic and aesthetic benefits to her clients! Botox® is a highly purified protein manufactured by Allergan that comes in the form of an injectable medication that is used therapeutically to reduce the strength of targeted muscles. It works by blocking the signal from the nerves to the muscles, which prevents them from contracting. This causes wrinkles to relax and soften. Beyond the aesthetic applications, Botox® has also proven useful in treating many medical conditions. There are many common myths surrounding Botox® and what it is and what it does. Here are 5 common myths about Botox® and the truth behind them. Myth 1: Botox® is a poison Many are under the impression that Botox is harmful to the body, but it would take 2500-3000 units, or 25-30 vials, to deliver a lethal dose to a patient. A typical botox treatment uses 50-100 units at most, well under the lethal dose. Myth 2: Botox® will give you a "Frozen" look As long as you are receiving the Botox® application by an experienced doctor who knows the correct amount of units to inject, you will have a natural and fresh faced look. The goal is not to paralyze all muscle functionality, but rather to relax over-contracted muscles that are causing the wrinkles. Myth 3: Botox® will erase all wrinkles There are two types of wrinkles, dynamic and static. Botox treats dynamic wrinkles by relaxing the muscle, thus improving the appearance of these wrinkles. However, static wrinkles do not respond to Botox and require further aesthetic treatment. Myth 4: Botox® is only used for aesthetic reasons Although Botox® is widely used for aesthetic reasons, it is also used for many therapeutic and medical treatments. Many times, you cannot even separate the two. You may be treating your forehead, or frontalis muscle, for wrinkles and notice a side effect of reduced headaches, for example. Myth 5: Botox® has immediate results Post injection results aren't exactly instant, but luckily results typically start 1-3 days after. Maximum results can be seen 7-12 days later. Dermal fillers are substances designed to be injected beneath the surface of the skin to add volume and fullness. Different fillers are designed to do different things including the following. The most commonly used fillers are made of hyaluronic acid and are recognized as brand names such as Juvederm®, Restylane®, and Belotero®. Hyaluronic acid is a naturally occurring molecule found in the body that attracts and retains water. When used properly, these products can add a tremendous benefit to restore, lift, and define the contours of the face. Depending on the product and the patient, the results can last from 12-24 months. With the advent of these injectable, orthodontists now have more tools than ever to help our patients get a better smile and orthodontic outcome. For more information, schedule your free consultation today!